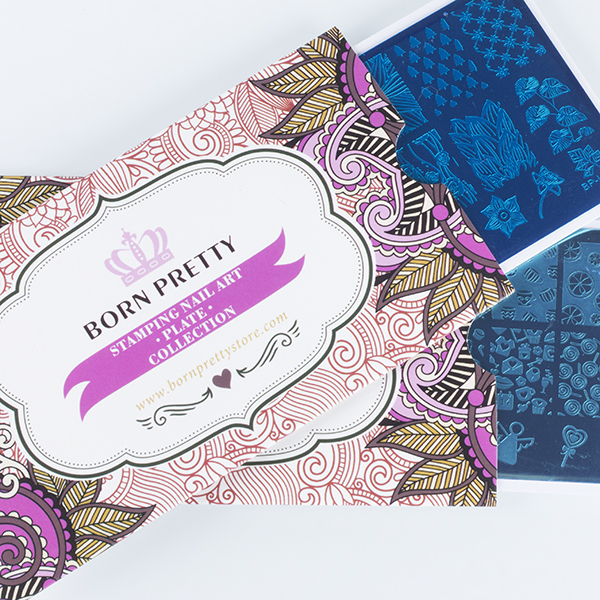 I was lucky enough that Born Pretty Store found my Instagram account and Tina offered to send me a few plates to review! 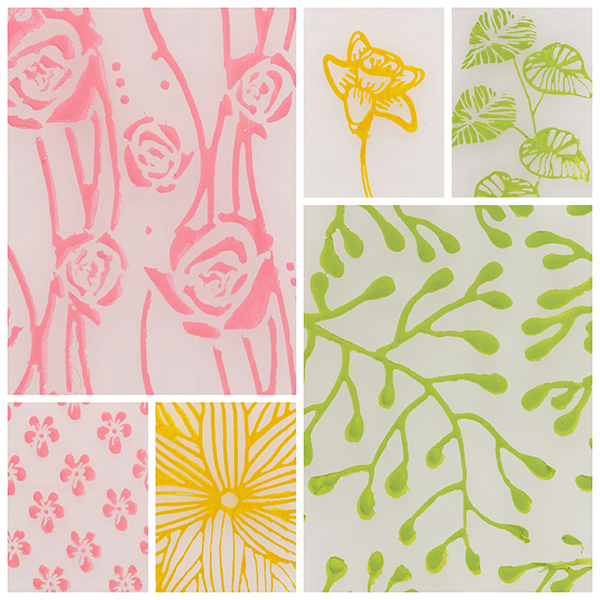 I have been itching to try their stamping goodies for a long time so it was really exciting to get these in the mail. They have these gorgeous sleeves that you can store them in, but you all know I have way too many plates for that. I just end up with a giant bag of sleeves I can't bring myself to get rid of. Nevertheless, these are totally gorgeous and it's really nice to get your plates in pretty packaging. I received four in total, so I today I am just going to share BP:L015 with you. Check out these pretty nature themed images, you know this is my thing. I am having too much fun with these stamped image collages, it's such a fun way to show off a plate. All of these images were first try pick ups and everything stamped so beautifully, give or take a little user error, I am only human. This plate held its own among my much pricier ones, and I loved the images. 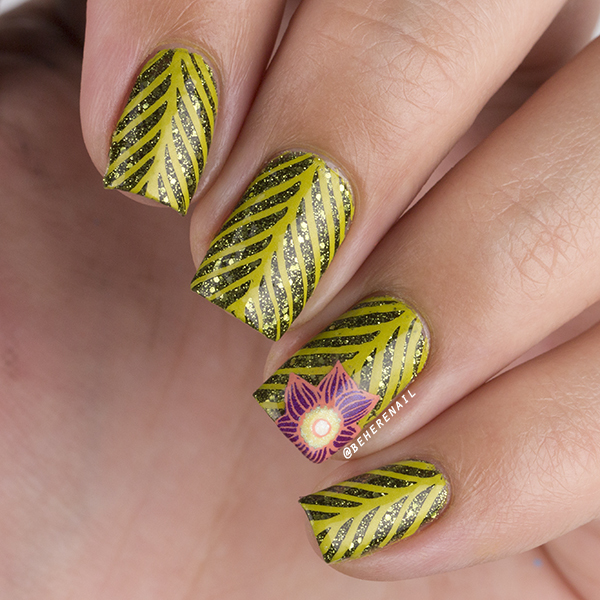 I used a couple different ones from BP:L015 in this tropical mani. Again these were all stamped from the first pick up and everything came out beautifully, even the fine lines in the floral image that I reverse stamped. 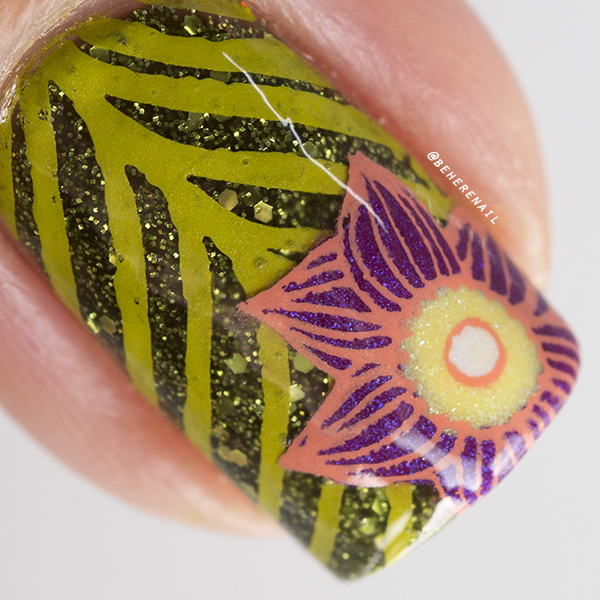 I used two different stamping polish brands in this test to make sure everything played nicely together. The green is Mundo de Uñas Ocre, the coral is Hit the Bottle Let's go to the Peach and the flower is filled in with Zoya Daisy and Sinful Colors Korset. If you're wondering about that gorgeous base it's China Glaze It's Alive, a gift from my ugly pretty polish bestie Delia, @iamdeliasnails on Instagram. 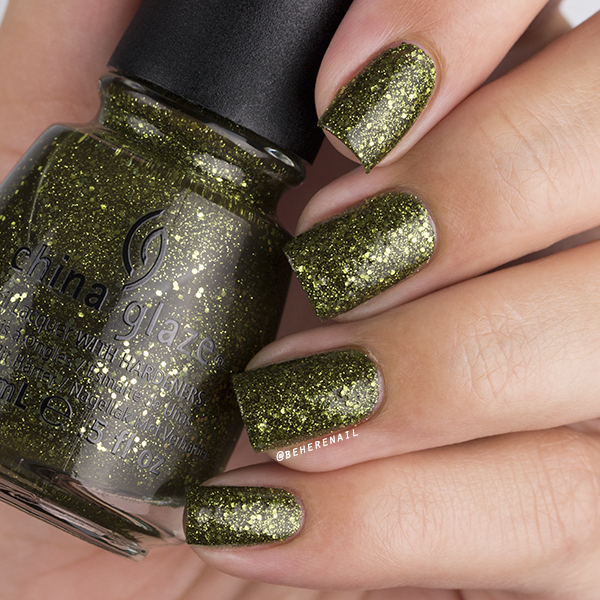 Here's my swatch before we wrap up this review. I'm sure you can already tell I thought the Born Pretty Store plate was pretty awesome, if you would like to check it out yourself you can find it here or by searching the product number #19370. 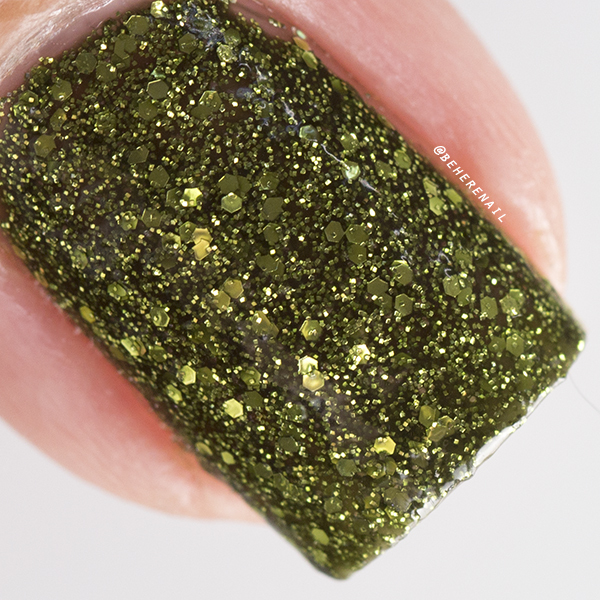 And since it's BPS you already know the drill, use my code JUSQ10 on any full priced items and look out for more BPS nail art soon!